Bully Nuggets are all natural beef lung treats in bite sized form. Beef lung offers your dog greater amounts of protein and lower amounts of fat than most standard beef cuts. Each treat is sautéed in Redbarn's irresistible Bully Stick sauce. 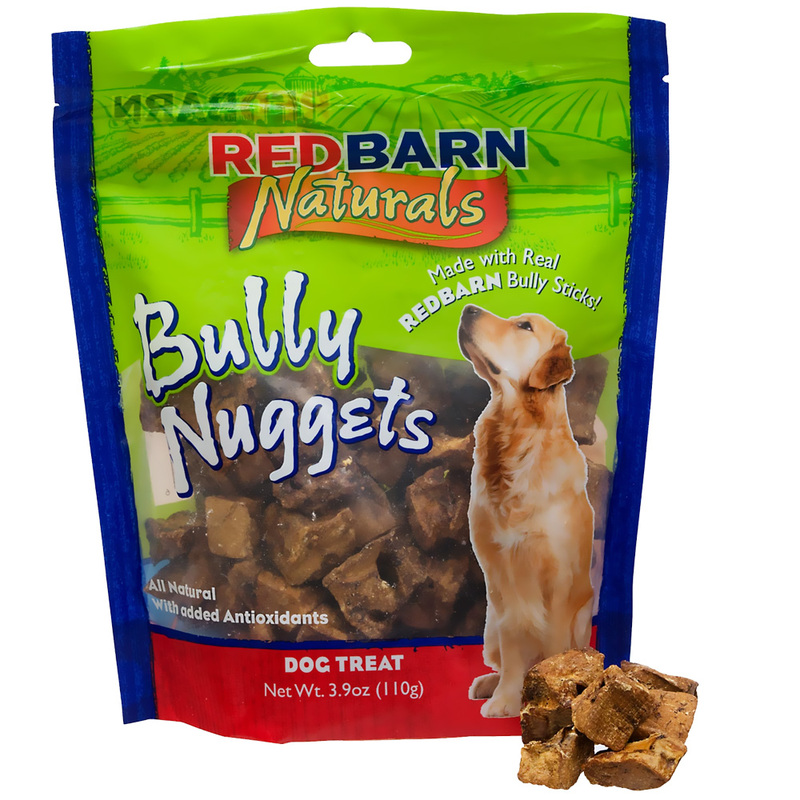 Bully Nuggets' small size makes them ideal for training or as a treat anytime. Antioxidants are added for immune system support and keep your dog happy and healthy. Bully Nuggets are proudly made in the USA using high standards of quality. Beef lung, beef pizzle, mixed tocopherols, blueberry powder, grape seed oil. Always monitor your pet while feeding treats. This product is meant to be fed as a reward or treat. Provide your pet with fresh drinking water at all times.